Thank you for your request. We’ll be in touch soon. Where does your company fall on the innovation curve? 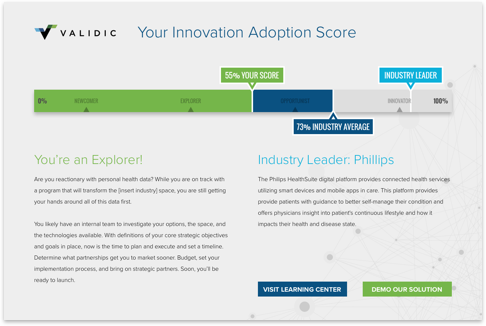 Find out your innovation score compared to others in your industry. You can also visit our learning center for research reports, white papers, and webinars related to digital health.